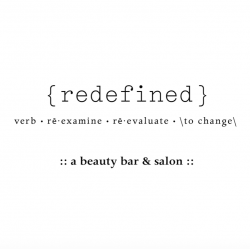 Redefined Beauty Bar & Salon is NOW OPEN in Long Grove, Illinois. We are so excited about our new space, new services and an amazing team. We invite you to meet our industry-leading haircare team as we begin to redefine your salon experience. From color to cutting edge styling, our team is committed to changing the way you think about your hair. Rediscover, reinvent… redefine yourself. We offer full hair, makeup, spa and medical spa services at our newest location! 421 Robert Parker Coffin Rd in downtown Long Grove!